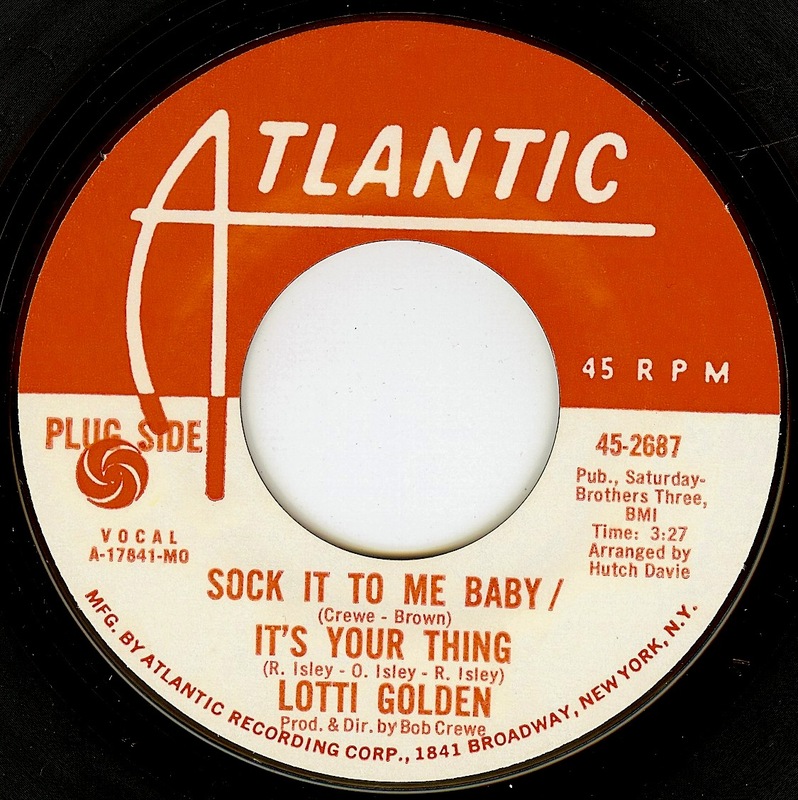 Manhattan-born Lotti Golden has had a fascinating career; as a high school honors student, she was signed to a publishing deal with Bob Crewe's Saturday Music company. Songs written about her experiences in the New York City of the late '60's resulted in the Crewe-produced cult classic LP Motor-Cycle. This single is from the same era but was not included on the album. Lotti went on to record another album (for GRT), got into the rock scribe bag for Creem and Crawdaddy, and, in a startling transformation became an early architect of the NYC electro-hip hop scene in the early '80's. Lotti wrote and produced numerous hits for many artists in the '80's and '90's urban music scene. 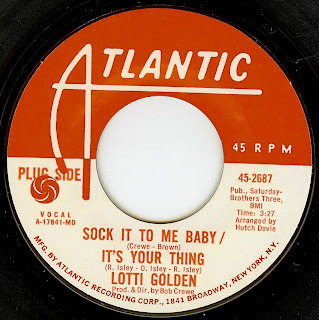 This single takes two classic hard-hitting soul jams, adds a strong touch of boogaloo, and showcases Lotti's incredibly powerful and punchy vocals at the forefront. She was all of 18 years old when this single was cut! This was one of the few songs Golden recorded, but didn't write. Cool post. Thanks! Good job! Love Golden's work. Still waiting for "Motor-Cycle" (Atlantic Records) to be reissued on CD. It is interesting that Atlantic Records chose to release this a a single, which has nothing to do with the the style of her 1969 epic LP "Motor-Cyle," a rock opera-esque autobiography set to music.